Starting March 1st we will be accepting beta testers for barcoding. Pick & pack more efficiently cutting down on errors & save time. 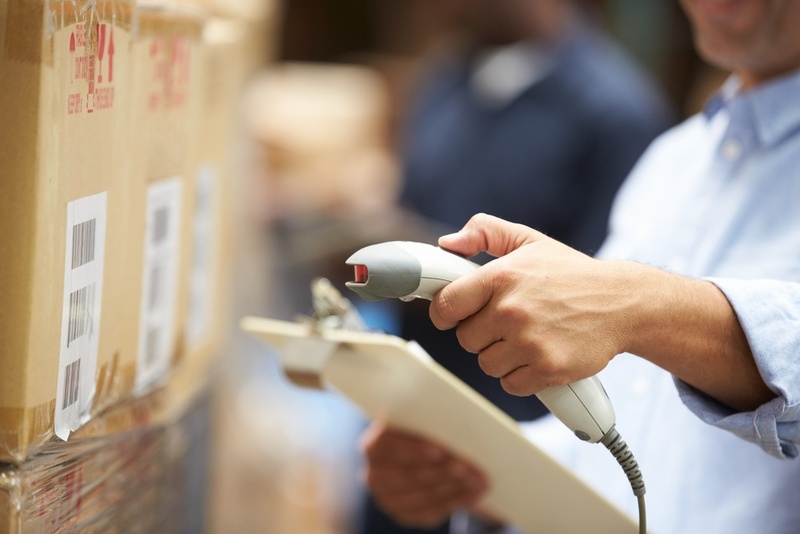 Track your products more accurately & conduct full-scale cycle counts. EmailInfo@Skubana.com today to become a beta tester! Keep your GTC (Good ‘Till Canceled) items live even when inventory counts go to zero on your eBay channels. Replenish stock without the need to re-list by having your listings hidden from searches to avoid overselling & retain your sales history. 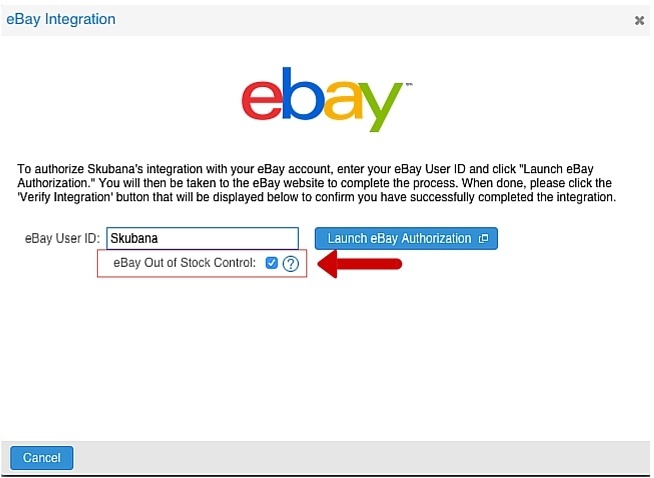 Gain complete control of your eBay sales & inventory numbers with this added feature within Skubana. 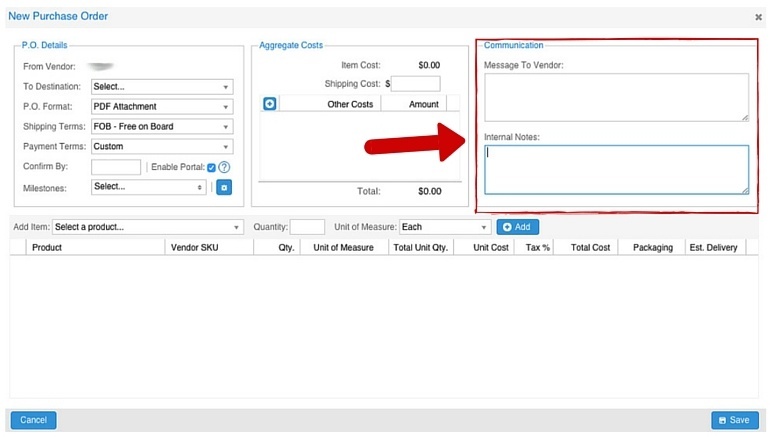 Whether you’re automating PO’s, or manually creating them users now have the ability to create custom memos for both in-house & for vendors. Easily replenish stock & distribute to multiple warehouses giving your business even more flexibility when it comes to replenishment. 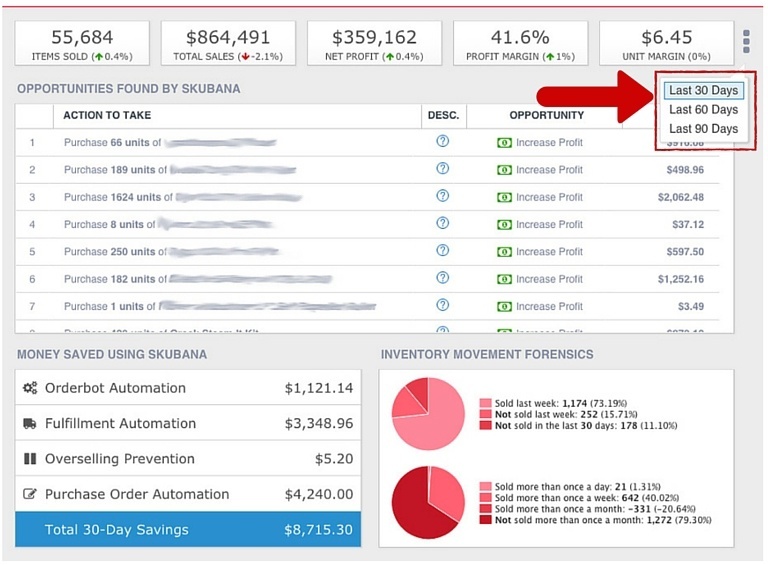 We’ve made Skubana’s in-depth analytics even easier to read & breakdown. Display your essential information including money saved, inventory forensics, opportunities to take & more. These reports can now be broken down into 30, 60 & 90 day increments providing you with a quick overview to make smarter decisions about your business.